It’s easy to see why the ice fishing Minnesota enjoys each year is such a big deal. The Land of 10,000 Lakes spends almost half the year below 32ºF. 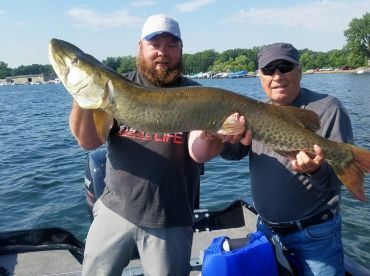 It also has one of the best mixes of freshwater gamefish in the country, with Walleye, Northern Pike, Muskellunge (Muskie), Trout, Bass, and more. During the height of the ice fishing season, entire villages can grow on some lakes, complete with plowed roads and streetlights. People really know how to make the most of winter here! Cut a hole anywhere and you can pull up a panfish or two. If you want to take things to the next level, here's our bucket list of amazing lakes for ice fishing. As many as 5,000 huts show up here each year. 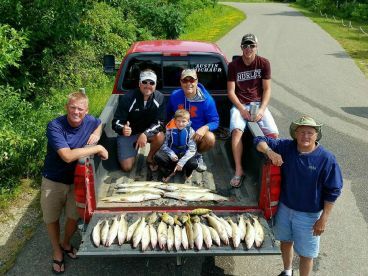 People come for the epic Walleye bite, but the Perch, Pike, and Muskies are great, too. Mille Lacs Lake can get crowded, but fishing here is a rite of passage for any ice fisher worth their salt. This is the most northern part of the contiguous US, so you get a long season once you set up your hut. 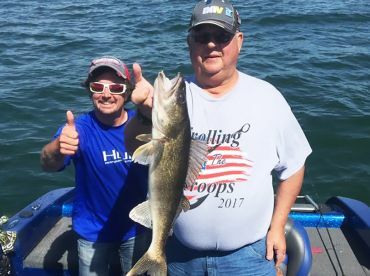 Lake of the Woods has a Walleye bite to rival even Mille Lacs. 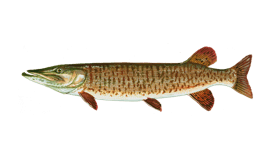 It also has Sauger, Pike, and monster Muskies. Gull Lake is home to home of the world’s biggest charity ice fishing competition, Brainerd Jaycees Ice Fishing Extravaganza. An incredible 10,000 people take part in this fun-filled event each year, and you’re welcome to join them! Lake Superior is so big, it rarely freezes entirely. It’s is the only place in the state where you can ice fish for Salmon. The lake is best known for its Trout fishing, though, with Brown and Lake Trout in huge numbers. With a ton of tasty Walleye and easy access from State Highway 72, this is a great spot to visit for a day trip. The Upper Red Lake has the best ice fishing, but the whole lake can be productive. 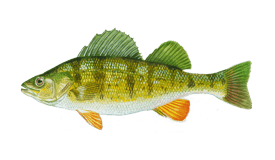 Big Stone Lake is productive for Perch. Rainy Lake has some wonderful Walleye. Leech Lake is full of both. Honestly, you can find great fish everywhere! The best time to ice fish is in the winter. Alright, you might have guessed that. On average, the best and safest months for ice fishing are January and February, but it depends on the body of water. The safe season for ice fishing depends on where in the state you are. On the border with Iowa, huts are cleared off the lake by mid-February. In the north of the state, you will find them out until the end of March. 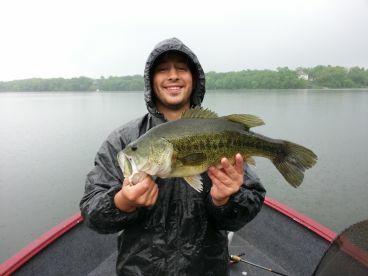 On-foot anglers often fish well into April. It’s also down to depth. Shallow lakes like Mille Lacs freeze a lot earlier and are normally safe by mid-December. Deeper waters like Lake Superior freeze more slowly and aren’t ready until January. Larger lakes also hold more oxygen, keeping the fish active longer into the season. The basic method is to cut a hole through the ice and jig lures like flash spoons or swimming lures. Finding the right depth is key to bringing in your specific species, as is knowing what the structure is like below. 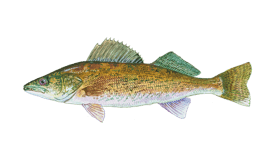 Walleye like easy access to deep water, while Musky and Pike hunt around humps and rocks. Drilling in the right spot is key, so fishing with a guide or an old hand really gives you a head start. Ice fishing can be dangerous if you don’t take precautions. Stay away from dark ice. Ask the locals where’s safe. Better still, get a guide to show you where and how to fish. A general rule is that 4 inches will hold a person and 10 inches will hold a car. If you have to ask “is this ice thick enough?” you should probably stay away. You can find useful information on the DNR’s website. Don’t let us scare you off, though! Ice fishing is great fun and a productive way of catching a delicious winter feast. It’s a core part of Minnesota life, so grab your biggest coat and get out there!